Despite its green color, Peridot has been referred to a Sun or solar energy stone since ancient times. In Ancient Greece, it was believed to bring vibrations of royalty to the wearer and bless them with an increase of both health and wealth. The stones color comes from its magnesium iron which creates an olive-green to lime green color. Peridot’s name comes from Greek origin and was revered in Ancient Greek practices. The word “Peridot” has many connections to the words “Gold” or “Sun” despite its green color. It is most commonly found in small, light green nuggets. Peridot has also been used to ward off “evil” spirits and bring in energies of abundance and wealth. The Ancient people of Greece believed that carving a torch onto a Peridot nugget activates the manifestation of wealth. 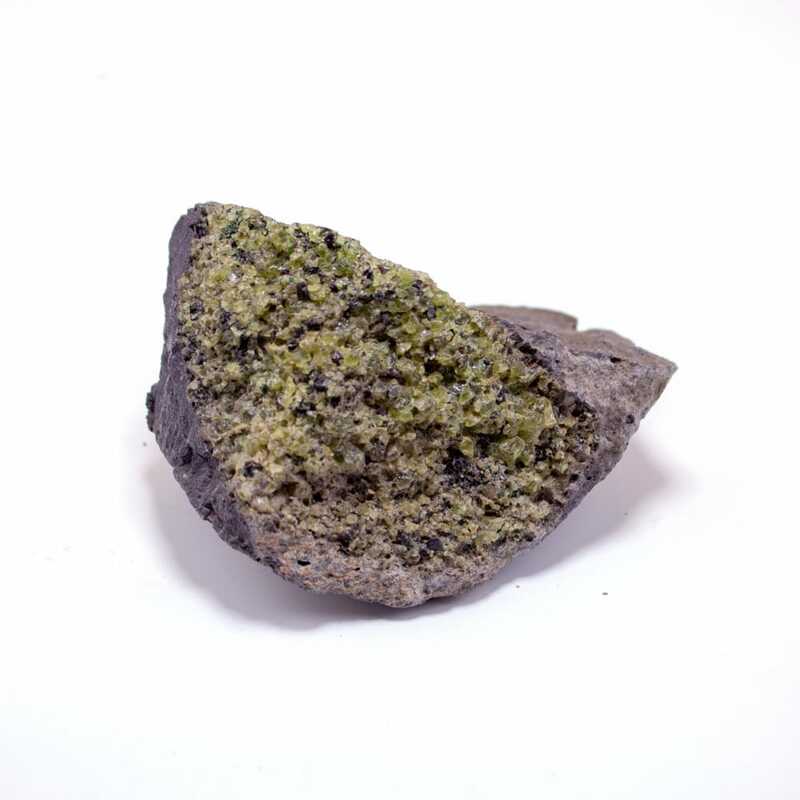 Most people associate this stone with other properties due to its green appearance. However, Peridot teaches an important lesson that we should not assume based on appearance, rather we should work directly with this stone to find the truth of its properties. Peridot jewelry will bring its wearer an abundance of positive blessings. Wearing a Peridot Bracelet on ones projective hand (right) will allow the wearer to share positive power with those around them, a contagious volley of energy. Wearing a Peridot bracelet on your receptive hand (left) will help one to bring in more positivity, abundance, health, wealth and prosperity. Placing some nuggets over the heart chakra or wearing a Peridot encrusted necklace will allow positive power to emulate from the heart space, as well as an increased awareness of love. Another unique property this stone offers is the ability to show generosity to those around you while focusing on your own personal goals. Peridot is especially helpful when finding one’s true earthly “purpose”. The heart’s desires can suddenly be heard loud and clear when we are in resonance with this stone. Energy workers and caretakers of all kinds should consider leaving Peridot around their workspace as it stimulates the vibration of “Increase”. Those who may have felt guilt, shame or regret from their past will benefit immensely from this stones vibrations, as it helps to rebuild one’s sense of self-worth. Another tremendous property of this stone is that it helps those who have yet to forgive themselves for hurting others in the past. By relieving ourselves of these binds we are able to head forward toward our spiritual path of evolution. Do not be fooled into thinking that Peridot is only a financial prosperity stone. It vibrates in resonance with increase of our physical, mental, spiritual and emotional well-being, allowing one the ability to receive more from the universe. Those who feel unworthy of receiving on a conscious or subconscious level will feel able to accept from others while working with Peridot. Lastly, Peridot’s energy will help us to connect on a deeper level with nature. In mythology it has been revered by the Elven race and by all interdimensional nature spirits of our planet. The soft, subtle wisdom of our planets nature is heard more easily while working with Peridot or wearing Peridot earrings. Spending time in nature with peridot will allow for an increase in messages and communication with the Faerie and Devic realms- making this a must-have stone for Earth Healers.